After a six-day nationwide search, a man charged in the gruesome killings of an elderly Ohio couple who were burned to death in their car was captured Thursday in Arizona along with two companions suspected of helping him commit a string of armed robberies, the FBI and local authorities said. Robert Roy Clark, 29, of Dennison, Ohio, and Tabatha Marie Hazel, 26, of Canton, Ohio, were arrested about 2 a.m. (4 a.m. ET) after a foot chase when they and the third suspect abandoned their broken-down 2003 Dodge Caravan in the desert near the city of Kingman, Ariz., Mohave County Sheriff Jim McCabe said. The third suspect, Jeffrey P. Caley Jr., 28, of Ohio, was arrested later Thursday morning after a nine-hour search involving local, the FBI said. He was armed and threatened to commit suicide, but Mohave deputies were able to talk him into surrendering, the FBI said. 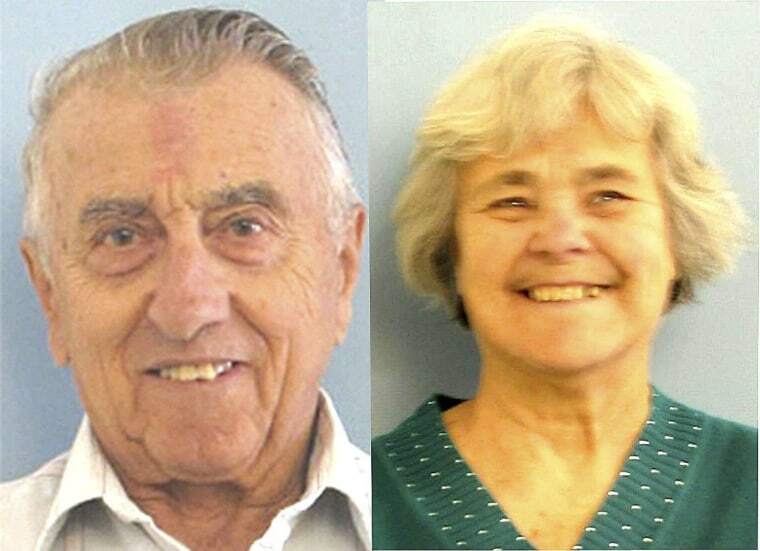 Clark is accused of killing Doyle Chumney, 88, and his wife, Lillian, 79, of Strasburg, Ohio, in Tuscarawas County, by setting fire to their car. Investigators found the car Jan. 22 in Coshocton County after the Chumneys were reported missing. When authorities went to the couple's home, they discovered that it had been ransacked and that its telephone lines had been cut, the FBI said. Tuscarawas County Sheriff Walt Wilson said deputies were on their way to Arizona to interview Clark. "It's hard to imagine that anyone could do something like this to a nice elderly couple," he told reporters. Hazel and Caley aren't charged in the Chumneys' deaths. Instead, they're accused of having helped him commit a string of armed robberies in West Virginia and Georgia after he fled the state Saturday — the day Clark and an alleged accomplice were charged with the Chumneys' murders. That man, identified as Jeffrey Stewart, 21, of New Philadelphia, Ohio, was arrested Saturday in Tuscarawas County, Ohio, and implicated Clark, authorities said. Clark, Hazel and Caley were being held without bond Thursday in the Mohave County Jail pending extradition to Ohio. In addition to Clark's murder and armed robbery charges in Ohio, all three are charged in Mohave County with robbery and being fugitives from justice. In a statement, members of the Chumneys' family thanked officers and said they "especially grateful that no additional injury or loss of life has occurred throughout this ordeal." A representative said the family wouldn't comment further.